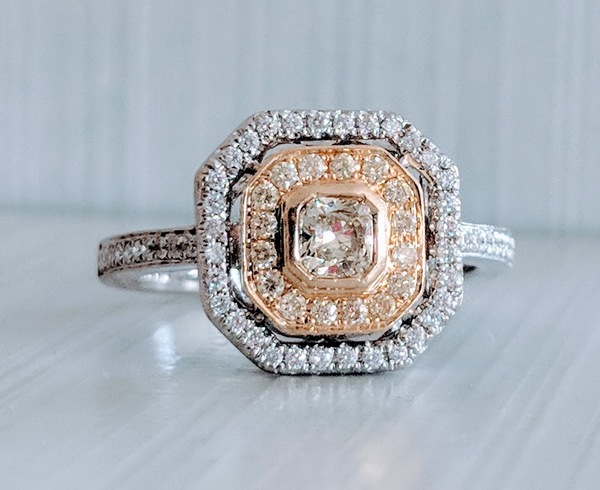 This high-end designer ring from JB Star's "Canary Star" line features a 0.24 carat fancy yellow cushion in a bezel setting, surrounded by a halo of fancy yellow diamonds and a second halo G/H color diamonds. All excellent quality and set in solid 18k white and yellow gold. Currently a size 7 and sizable. Retail value $2700.